Learn More | Blog - Trusted Dentistry. Dental Bridges vs. Dental Implants: What’s the Difference? Dental implants and dental bridges are both used to fill in gaps in your mouth where teeth are missing. Aside from that, these two dental tools are actually pretty different. Here is a basic breakdown of what each one is and the advantages associated with them. Dental bridges A dental bridge is basically three crowns … Read moreDental Bridges vs. Dental Implants: What’s the Difference? Teeth problems can strike at any time and to anyone. Even if you take great care of your teeth, regularly see dentists, and only eat healthy foods, you could still end up losing your teeth over time. Sadly, more than 30 million American adults are missing all of their teeth in either one or both jaws. Dental implants are a great solution to major teeth loss, however, and can help you get that beautiful smile back that you’ve been missing. 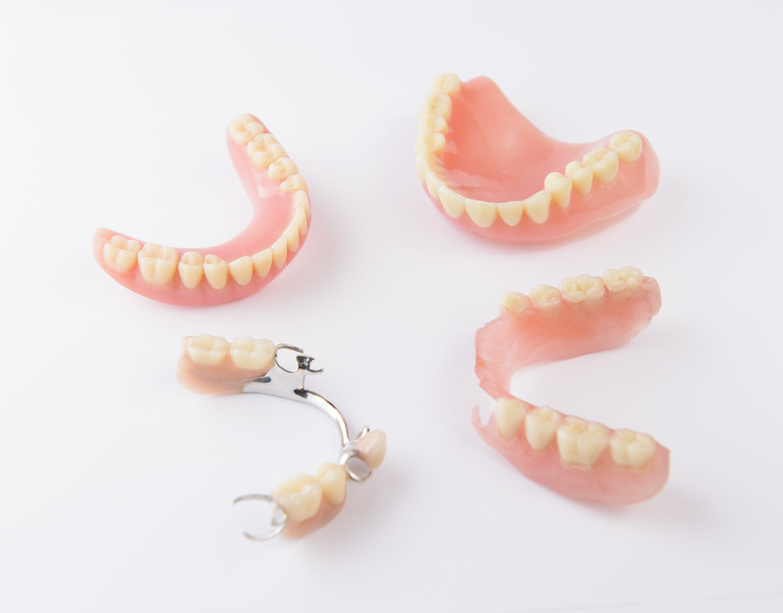 Dealing with dentures for the first time can feel a little strange, though, but as long as you’re taking good care of yourself and continuing to regularly visit professional dentists, you should be fine. 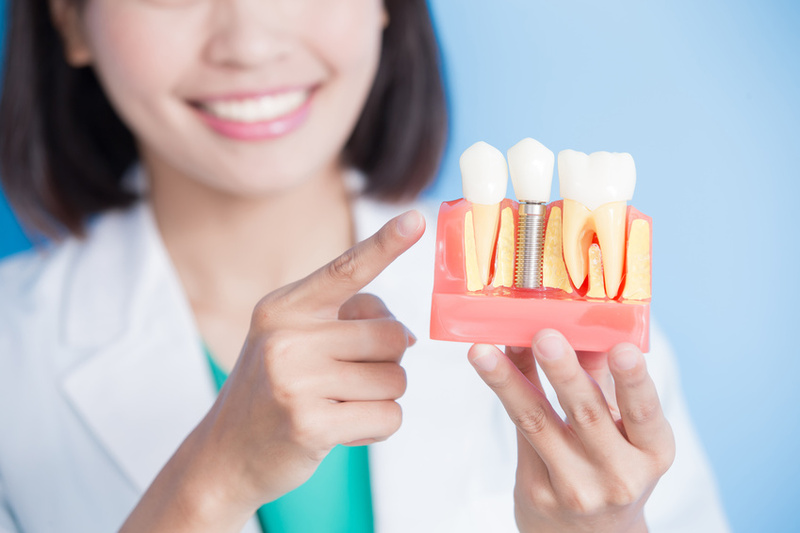 Here are a few things you can do to get used to having dental implants. It’s important to regularly exercise your cheek muscles so you can strengthen your mouth and new implants. Because the muscles in your mouth are essential in the food chewing process, it’s important that you properly work them out so you’ll be able to eat with your new teeth. The best way to stretch your cheek muscles is to hold a real big smile for 10 to 15 seconds. (If you have serious cheek pain every time you do this, contact your dentist immediately). Your mouth knows when something foreign like a new implant is inside it, so you have to be careful during the adjustment period after a new implant. It’s important to protect your mouth in the days, weeks, and years that follow your new implants. In the few days that follow, be sure to regularly wash your mouth out with warm salt water to help alleviate any sore spots in your mouth. Be sure to rinse very gently, however, as you don’t want to cause any damage. Don’t worry about bothering your dentist because it’s their job to help you and they’ll be more than happy to offer their assistance. If you are experiencing any major pain or strange issues with your teeth, simply contact your dentist and let them know. They will either tell you not to worry or schedule an appointment with you. 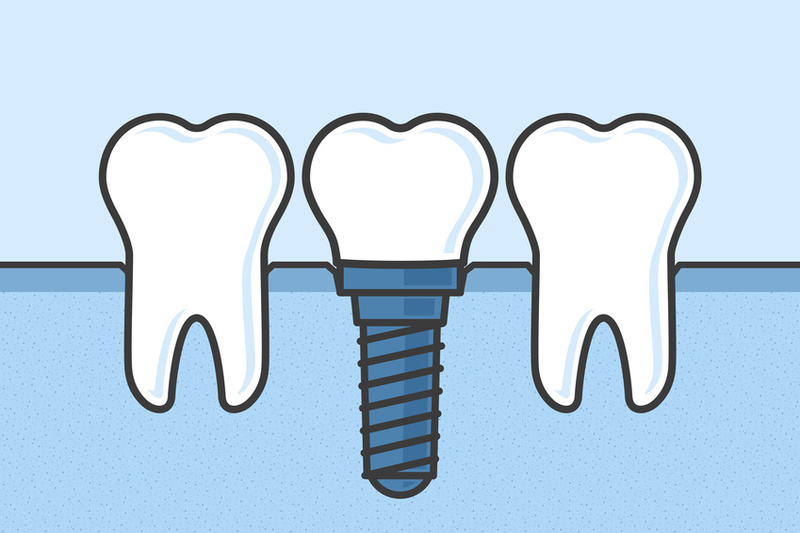 Living with dental implants doesn’t have to be difficult. Make sure you take care of your teeth and yourself afterward and stay in contact with your dentist. If you want to learn more or are in need of a tooth extraction, contact Trusted Dentistry today. Anxiety and dental issues are closely related and each issue often leads to the other. Whether it’s just being nervous about taking care of your teeth, constantly thinking that something is wrong with your oral health, or needing dentures, anxiety and nerves can lead to serious issues among people of any age. Here are some common oral issues relating to anxiety. Nervousness about your physical appearance — Roughly 18% of people admit that they purposely hide their teeth in photos. If you’re worried about your teeth, you could potentially develop a serious issue with your own appearance and will constantly attempt to your conceal your teeth in pictures, while you’re eating, and even as you try and hold back your smile. 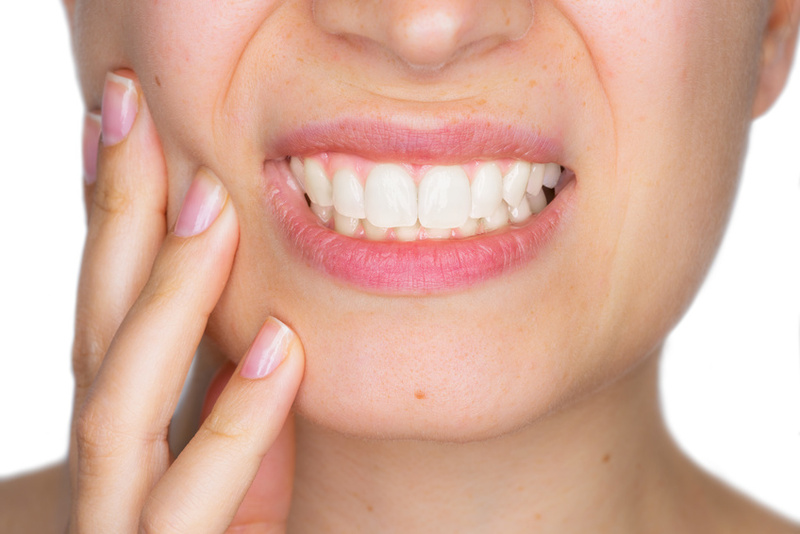 Constantly grinding your teeth — Another anxiety-related oral issue is teeth grinding. This is a nervous tick for many people but it can eventually lead to much more serious teeth issues. Even if the reason you’re grinding your teeth has nothing to do with your oral health in the first place, after a while, it will cause severe damage. Obsessively worrying about losing your teeth — Another common fear is worrying about losing teeth or having them randomly fall out of your mouth. Whether you’ve lost a tooth in the past or not, this is still a major cause of concern for many people. 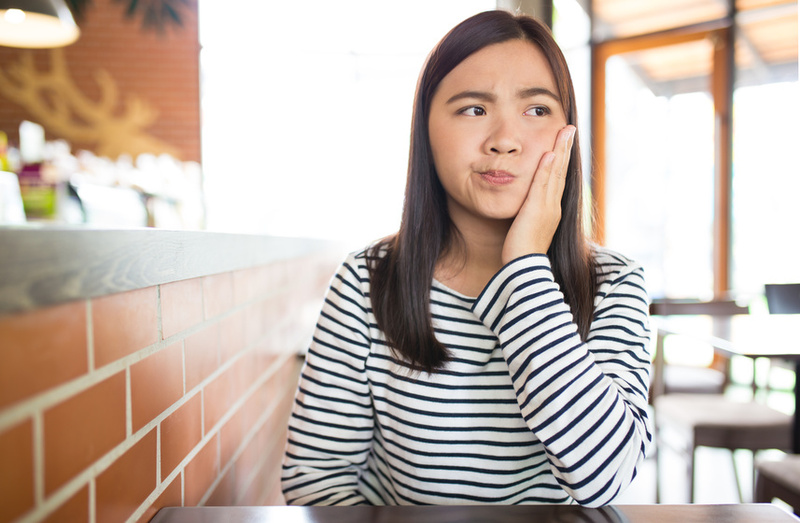 Acid reflux and additional tooth damage — Although anxiety can’t directly cause acid reflux, it can make you much more susceptible to this problem and lead to further enamel damage. Neglecting dental care and oral hygiene — When people start having problems with their teeth and begin feeling anxious about their smile, sadly, many people stop caring for their teeth altogether. This can lead to horrible problems, which is why it’s important to seek professional dental assistance no matter what. Having an extremely dry mouth — Anxiety and dental issues can also lead to dry mouth, which can cause further damage to your mouth. Although dental implants may seem scary, they are a safe and easy way to improve your smile. 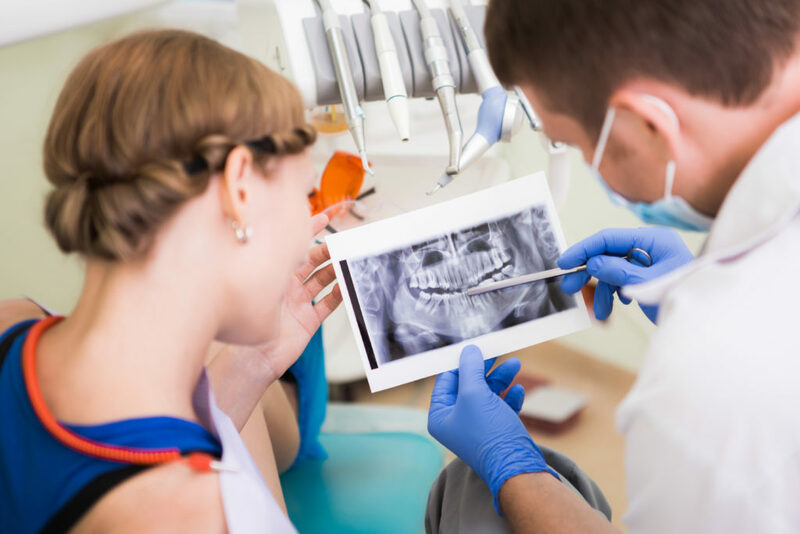 If you want to learn more about the anxieties involved with major dental issues or find some affordable dentures, talk to professional and trusted dentists. At Angola Dental and Aegis Dental, we offer free oral sedation and same-day surgery and dentures so you never have to go a day without your smile. Roughly 32% of people admit that they’re concerned by the look of their teeth. That number is obviously much higher within the edentulous population. For those lacking teeth, the worst thing in the world is often eating in public or smiling in pictures, and that’s no way to go through life. Luckily, our dentists at Angola Dental and Aegis Dental can provide quality dental implants that can work wonders for anyone’s teeth. Here are a few benefits of dental implants. 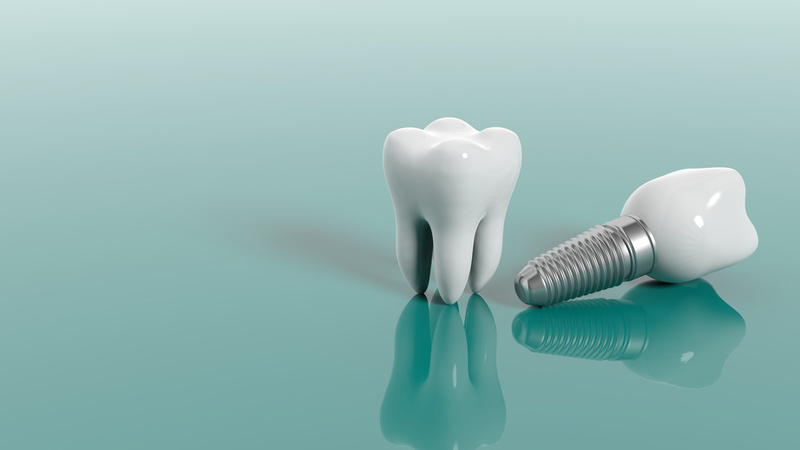 Strong and Durable Teeth —Dental implants are just as strong if not stronger than original teeth. 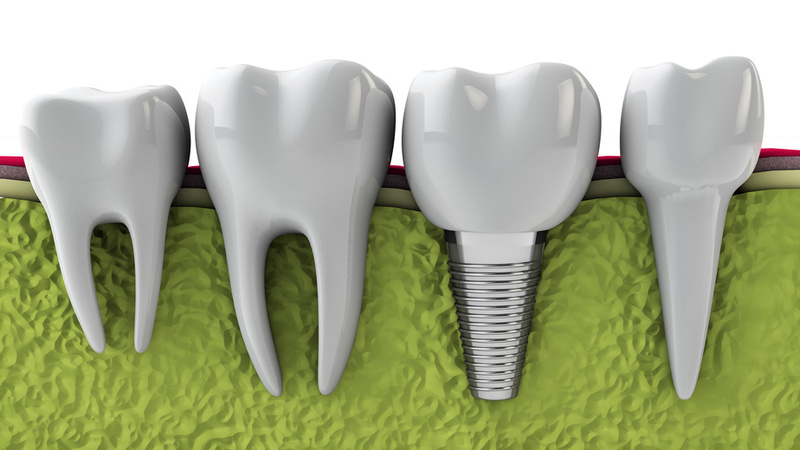 These implants might need periodic adjustments from dentists every few years, but they will last a lifetime as long as they are properly cared for. 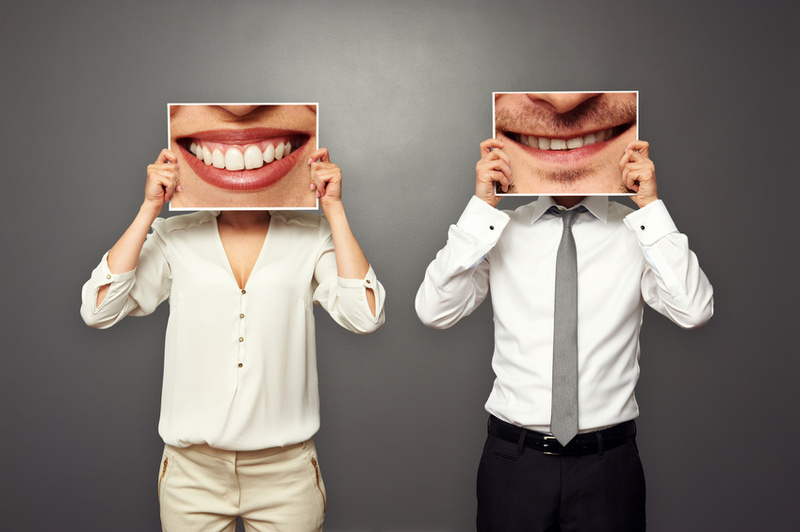 Get Your Natural Smile Back —If you’re missing some teeth, you probably are extremely self-conscious about smiling in pictures and showing off your teeth. Getting dental implants will help you take back your smile and allow you to start showing off those beautiful teeth once again. Chew Tougher Foods Again —Chewing steak and hard food when you have broken or missing teeth can be a nightmare. Not only is the food difficult to break down with your teeth, you run the risk of causing additional harm to your surrounding teeth. With a strong dental implant or two, you’ll be able to chew all kinds of delicious foods again. Much More Comfortable Living —Living without a few of your teeth can just be unbearable at times. You’ll be at risk for frequent tooth aches and untreated issues can even lead to severe migraines. These dental implants can help you get rid of gum disease because there is no gap to collect food and bacteria as well. Dental implants, once you get used to them, will allow you to get back to feeling comfortable with your own smile and you’ll be virtually pain free. Tooth removal is scary but living without a tooth can be even worse. It’s time to take back your smile and get dental implants. If you’re in need of dental implants or dentures, or just want to learn more about proper oral hygiene, contact experienced dentists today. Scroll back to top ?